This post was authored by Matt McSpirit, Technical Evangelist at Microsoft. 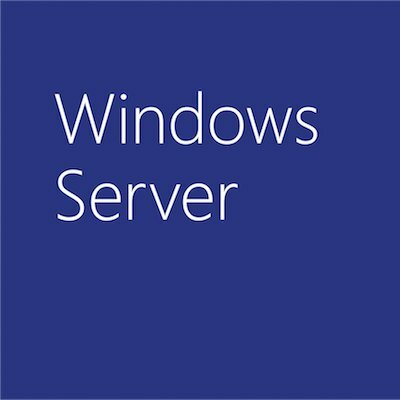 It is the ninth post in the “Ten reasons you’ll love Windows Server 2016” series. Today I got to talk with Taylor Brown, principal lead program manager for Windows Server containers. Taylor’s team is responsible for product vision and roadmap as well as partnering with the development team to deliver container features in Windows Server 2016. Containers on Windows Server has become an empowering technology for customers. We see customers developing, deploying and now hosting containerized apps as part of their development processes. As the pace of application deployments continues to increase and customers are deploying application versions daily or even hourly, the ability to rapidly deploy validated applications from a developer’s keyboard to production is critical to the success of the business. This process is accelerated by containers. While virtual machines have empowered us to migrate apps across data centers and into the cloud and beyond, the power of virtualization is further unlocked with containers by virtualizing just the OS. Think of it as “Just enough Virtualization” for rapid application delivery. The Windows Container technology includes two distinct types of containers, Windows Server Containers and Hyper-V Containers. Both types of containers are created, managed, and function identically. They even produce and consume the same container images. What differs between them is the level of isolation created between the container, the host operating system, and all of the other container running on that host. Windows Server Containers: Multiple container instances can run concurrently on a host with isolation provided through namespace, resource control, and process isolation technologies. Windows Server Containers share the same kernel with the host as well as each other. Hyper-V Containers: Multiple container instances can run concurrently on a host. However, each container runs inside of a special virtual machine. This provides kernel level isolation between each Hyper-V container and the container host. By working within the Docker community, we’ve enabled the Docker container toolset to manage not only Linux containers but also Windows Server and Hyper-V containers. As part of bringing the Linux and Windows communities together, we’ve extended the Docker experience by building a PowerShell module for Docker that is now open source for community and Docker contributions. The PowerShell module can manage Linux and Windows Sever containers, locally or remotely using the Docker Engine’s REST APIs. We are really excited about the innovation we can bring to customers by being part of the open source community and evolving our platform. We are excited to bring great technologies to our customers along with innovation like Hyper-V containers that show value beyond what previously existed in the container industry. Take a look at our documentation and getting started guides and be sure to give us feedback. Now go forth and containerize your applications!